Opp. 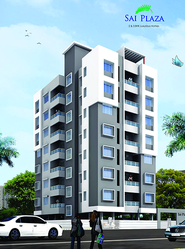 Hotel Pipy Pipy, Siddhivinayak Township, Rasbihari Road, Nashik.. Luxurious 1 BHK and 2 BHK flats for sale Opp. Hotel Pipy Pipy, Siddhivinayak Township, Rasbihari Road, Nashik. Call for more info. Area size: 2 BHK - 810 Sq.Ft. Schools (3 Nos) - 5 to 15 min. Medical College - 2 min. Bus Stop (1 Nos) - 2 min. J. V. Associates is one of the leading offers Residential Flats in Nashik service focused on developing world-class residential and commercial properties all over the Nashik, Maharashtra and country. S.S.Constructions brings you the best option in residential properties. Location: Wallfort Enclave, Near Ramakrishna Care Hospital, Pachpedi Naka, Raipur 492001. We are also provides our clients RESIDENTIAL SOLE SELLING solution. Our extensive network of agents and brokers, spread all across the market , helps the clients to get exactly the what they want in any corner of this region. Sale-buy rental services of all types of real estate property in nashik city contact- shree balaji estate.